While most people don’t think of out of balance tires as a large issue, it is a problem that can have a big impact on vehicle health and even personal safety. Tires that are not balanced will wear down faster, put strain on your breaks and suspension, and can even cause accidents by making it easier to lose control of your vehicle during rain and snow. CEMB DWA1000CWAS Complete (DWA1000XL) Wireless Wheel Alignment System w/Wheel Stand Kit. Limited Time Offer Sale Price, Free Shipping & Vin Reader Valid thru June 28th! Limited Time Offer Sale Price& Free Shipping Valid thru June 28th! Limited Time Offer Sale Price & Free Shipping Valid thru June 28th! This is why it is important for every auto shop or garage to have at least one top-quality wheel alignment machine. If you have a large shop with a large volume of customers, you will need more than one. At Best Buy Automotive Equipment, we make it easy for you to find the perfect option with minimal hassle. You can come into one of our stores, or simply browse through our selection online. Even though we offer our items at great prices, you never have to worry about getting a shoddy or second-rate product when you buy from us. 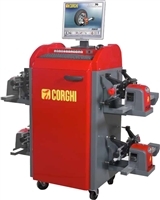 We offer carefully crafted, reliable, and solid alignment machines from brands you recognize and trust, such as Ranger Products and Bosch. Alignment machines can be a big purchase. If you need one and don’t have the cash right now, don’t worry. We know that you need to be able to get your hands on the items that you need when you need them for your business, so we offer some great financing options to our customers. 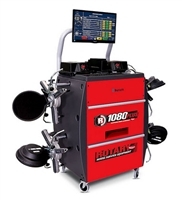 Whether you’re looking for a basic option for a small shop, or a large option that will help you tackle a ton of jobs in your larger business, we will have a wheel alignment machine for you. If you need help navigating our selection, don’t hesitate to ask for assistance. Our friendly associates are always happy to help you face-to-face in our stores or through phone or email. We make it our mission to help you find the perfect items for your shop or garage. It isn’t just our low prices and great products that have kept us in business since 1987—it is also our commitment to exceptional customer service.